The S. Rajaratnam Professorship in Strategic Studies at RSIS was inaugurated on 31 August 1998 to enable the School to invite distinguished scholars in strategic studies and related fields to participate in its activities. 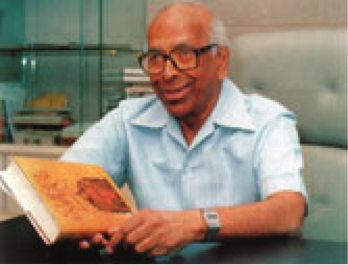 The professorship was established in honour of Mr Sinnathamby Rajaratnam for his distinguished services to the nation. Mr Rajaratnam, born in 1915, was elected Member of Parliament for Kampung Glam in 1959 and continued to represent the constituency until his retirement in 1988. He became the Minister for Culture in 1959, the Minister for Foreign Affairs in 1965 and in the latter capacity, he took on a second portfolio as the Minister for Labour from 1968 to 1971. He became Second Deputy Prime Minister (Foreign Affairs) in 1980, after which he was appointed Senior Minister until his retirement. He passed away in 2006. 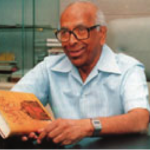 The S. Rajaratnam Professorship in Strategic Studies is made possible by a S$2.6 million fund (excluding a matching grant from the Singapore Government) raised by the Fund Raising Committee chaired by Mr S. Chandra Das, Member of Parliament for Cheng San Group Representative Constituency from 1980 to 1996. Income generated from the invested endowment funds is used to invite internationally renowned scholars to teach and to research at the School. The S. Rajaratnam Professorship thus enables RSIS to increase its international linkages as well as benefit from the knowledge, experience and wisdom of eminent scholars appointed to the chair.